Rum-Punch Drunk: You Poor Thing! Well I guess it just has to be that important time again. Christmas and the New Year are done and dusted. The festivities have come to an end. Our bellies are full, our glasses are empty and so are our bank accounts. The sales have taken your last bit of money. Those overpriced gifts that we used credit to pay for are no longer appreciated. The kids have dashed the expensive toys on the floor. Your friends don't like the scent of the latest perfume you bought them and to make matters worse, the little black designer dress which cost you a month's pay no longer fits after the bout of over-indulgence. And there you are right now, counting the cost and complaining that you don't have enough money to cover the mortgage/rent. You Poor Thing! There you are, giving the kids the evil eye for requesting a lollipop, arguing with the wife about the ongoing bills. Robbing Peter to pay Paul trying to make ends meet. Oh you Poor Thing! There you are, pleading poverty, looking for your dead grandmother's diamond ring to Pawn. Begging your own father to help you out because you are in dire-straights. Now his hard earned savings are to be dwindled on you. But I just don't understand it anymore. Why do people subject themselves to conforming to what others do in society? 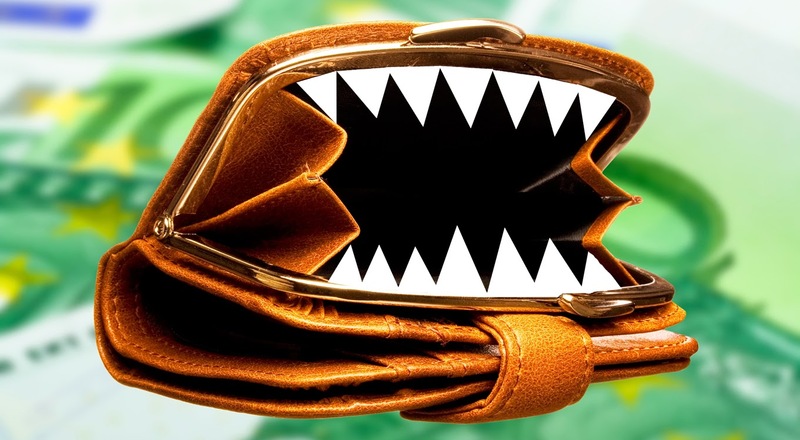 That flexible credit card is not your friend and neither is it YOUR money. Why do people opt for 'buy now and pay later'? Didn't it cross your mind that your financial circumstances might change, especially during this economic downturn? Job today, gone tomorrow! Now you're off to the food bank. Well, you really are a poor thing now. You thought you could create the perfect Christmas/New Year merely by throwing money at it. Now little Johnny won't have nowhere to put his Playstation because the house is gone! After all, you've done everything you can to make sure your family/friends had a good time for a few days, but at the cost of the long term security. Isn't the whole year more important than those few days of indulgence? 'Waste not, want not' has become a 'can't wait, won't wait' world. Is this the kind of example you want to teach your children? I'm not trying to blight anyone's fun. I'm not asking you to do nothing at all. I'm just saying, let's not ruin your own life by falling into a financial trap based on traditions. Count the cost mate! Have you ever over-spent during a holiday season and regretted it later? What pressurises you into being tempted to spend more than you've got? Have you ever had to dig yourself out of debt, and if so how did you manage this? My wife and I set a $20. limit this year for our gift exchange. Both of us exceeded that limit, but not by much. I like the idea of setting a limit according to what you can afford. Thanks for the comment Stephen. Great idea John. Making your own gifts is much more personal in my eyes. You really have to think about the individual. Thanks for the comment. We are a cash and carry household. We buy stuff for our three children and our granddaughter. Our shopping is throughout the year so no end of the year splurge. I've never seen the point of going into debt over Christmas. Car payments, college, and the mortgage always trump everything else. The mortgage is always a priority in my eyes. I mean, where else can you store those gifts if you've got no home? And why get yourself into debt just because of a season? It's good to spread the cost over a year too,Scorp Sting. Thanks for stopping by. I guess I'm not typical. Not even close. 1. I've never been a Christmas person. In our family Chanukah gifts were usually given to just family and I have no kids, so I don't usually spend anything on seasonal gifts. 2. With the exception of a mortgage that was within my means and that I've since paid off, I never spend more than I have. Never. 3. Because of my second answer, I've never had to dig myself out of debt. It's always good to spend within your means Joel, and because of that, you don't have any debts to regret. Great. Thanks for the comment. This post sounds oddly unlike you. But to your point I have to say that although I may have over spent a time or two and felt the resulting pinch, I have to admit I've never jeopardized the house or our lives in any way. Although I try to stay out of debt as much as possible (other than the mortgage), I do sometimes give those credit cards a work out around holiday time. Giving truly does make me feel great. But then I get to the job of paying it off and going back to saving. Oh, why doesn't the post sound like me? Love to know. Like you, I really enjoy giving gifts to others but I also make sure that I don't get into debt because of it, and I'm not happy to give my hard earned cash to credit card companies or banks (if you don't pay up on time). They do us over enough as it is. Good to hear from you Karen. And you've given me some good budgeting tips too Maria. I enjoy stopping by and thanks for the comment. I am afraid we are far too cheap to do anything like this! Ha ha ha. Cheap is not always bad though. Thanks Alain. I'm very careful with my money. I don't overspend to impress, to keep up with the status quo. I do not follow the masses. Never have and never will. I'm happy being financially responsible, even if it means I have to do without. Same here Gary. I'd rather not have something for a season, than to have it and end up struggling to make payments. Thanks for stopping by. In my case it used to be even worse, coz on jan 5th I have a b-day and it means lots of extra-payments (party etc). Ah, your birthday only means extra payments if you want it to. Why not have a party where everyone brings a dish or their own wine? Or a meal out, where everyone pays for their own meal? Just a thought to lessen the cost. Happy belated Birthday Just Me. Hope you enjoyed the day. So true Launna. $700 a year? Good grief, and it wasn't always appreciated. What a lesson to learn. Well, you're been through it and won't get caught out by the hype of Christmas anymore. Thanks for leaving a comment, enjoy the rest of the week. Yep, I notice many people throw tons of money away on Christmas. They spend and spend till they are flat broke. It's ridiculous. Christmas can be one hell of a crazy spending time for many Susana. Thanks for the comment. I can see this happening in India too now - overspending mainly to keep up with the Sharmas!! I find such celebrations at the cost of financial security absolutely ridiculous. What's more people actually want us to feel sorry for their stupidity! My mother always use to say 'after laughing is crying'. And that statement is so true in this case. Nice to hear from you Corinne. I gave my daughter a $150 gift card for Christmas and that was it I've struggled with finances, but not because of Christmas, Mostly due to my own stupidity. At least you're man enough to admit to your financial mistakes Bradley. And I'm hoping that you are now making changes to rectify the things that have gone wrong in the past. Hope you'll be free of any debts this year too. Thanks for sharing. I am a creative person. Creative people don't have time to spend their money. I only spend money on things that are necessary. It's good to be creative nowadays. You can save so much money and also your gift will always be very unique to the individual. Thanks for the comment. I live very simply, rpd. I never buy anything, except food and clothes when I absolutely need them. I've never even owned a credit card or had a checking account. Money is a kind of bête noire with me. I try to have as little dealings with it as possible. That's a great way to avoid stress, by keeping things simple. But society places so much pressure on people that many struggle to fulfill this ideal even if they wanted to. Thanks NP. Yes, sad to say I overspend during the festive season - but have never been in a situation where I have not been able to afford it. I'm lucky I suppose. That's the thing Lanthie. If you can afford to spend a lot of money without getting into financial difficulties then it's OK. You won't have the bailiffs looking for you this month, if you know what I mean. But so many others are pressurised to spend, spend and spend what they haven't got. Thanks Lanthie. Doesn't make sense why so many voluntarily put themselves in a bad situation that is so easy to predict the outcome. It happens too often to "intelligent" humans wanting to keep up appearances or treat themselves to the latest thing. Pretty sad. It is very sad. And there are so many companies advertising payday loans etc, during the festive season too. If people just took 10 minutes to add up the cost of borrowing against what they would have to pay back, it just might change their mind. Thanks for the comment AngieA. We buy gifts for Christmas that are mostly practical like clothing and maybe a few pieces of jewelry. Once I got a digital camera. Whatever we charge on our one credit card is paid up by January or February. I feel better not being in debt than on having the latest expensive possessions. We have 2 ten year old cars. Any scratches or dings do not upset us as much as if the cars were brand new. Our cell phones are not connected to the internet and we don't text anyone. We've lived in the same house for 22 years and the mortgage is all paid up. ~You can NEVER have enough money to satisfy your greed. I've heard of may wealthy people who have gone into debt. ~We do buy some luxuries like a large screen TV but only after we have the money and stay debt free. ~We did buy our 10 year old cars when they were brand new but with the intention of keeping them for a long time. Do I miss the newest i-pads and tablets? Not really. I hesitate to buy anything that may unnecessarily complicate my life. Thanks for another thought provoking post RPD. You're financially smart John. You don't just buy something for the sake of having it. It must have a purpose and it doesn't have to be the latest gadget. And because of the way you've lived, you remain debt free. Isn't that a great feeling? A lot of adults just aren't good with finances. That's unfortunate because we have a lot of obligations to keep. Going into debt isn't one of them. That's why I think children should be taught how to manage finances whilst still at school. They should clearly be told in detail about loans, credit cards, loan sharks, interest rates, APR and what they mean etc. That way, when they become adults they can make informed decisions, hopefully. Thanks for the comment Zobopwerk145. I don't go overboard on Christmas, and I typically only purchase what I can pay for with cash. I also try not to carry a balance on my credit card. Overall, I think we're in pretty OK shape. It's good to live within your means whilst also knowing how to use a credit card in the right way. Thanks for the comment Helena. It is easy for people to get carried away especially around the holidays. Fortunately, our kids have never asked or expected much, so we didn't go overboard this year. My husband's favorite gift is always a credit. Hope you're doing well, RPD. Thanks Julie and I'm doing good right now. Self control comes to mind in regards to people getting carried away. Repetitive bad behaviour with serious consequences affecting the whole family is not good. We overspent on Christmas when we first married, but now, 28 years later, we have a budget and stick to it. That same tactic has also helped us dig out of debt. I like the idea of having a budget that you both stick to. And a savings budget is even better. Thanks for the comment Shelly. These situations are not my business as usual, so I am hemmed in to answer the questions with almost no other comments, and even that, in a precarious way. 1) Due to my customary nomadism, my so called Holiday Seasons are non-existent which in turn makes over-spent a poor probability. 3) Undoubtedly, I am an out-of-the-pond tadpole. How can I get into debts if I am not spending out of my line because there are no reasons to. It is as simple as that. Ain't it right to call me a poor thing indeed?! How can one be so poor if you are spending within your means and not getting into debt? Sounds like you're quite a smart lad Od. Continue to 'look after the pennies because the pounds will always look after themselves'. My mother drummed this into my head as a young child, and it's paying off. Ha, Ha! Bang on, RPD. Even though we are not the denizens of Christendom, we splurge anyway, what with the New Year being a universal pivot. We have something called Diwali and that is when we go berserk. And just as you say, I end up spending what I'd still earn for the next half year, if not more. It has become a vicious circle, as they say. When did well-wishing morph into consumerism which then morphed into insolvency? Oh Yes, Diwali is celebrated in style here too. The women dress in expensive jewellery, brightly coloured clothing, tons of make-up, high heels etc whilst most of the guys like to hire limo type cars with fancy asian suits, driving around the streets of London making a noise. The cost must be enormous. Beserk is putting it mildly Umashankar, ha ha ha. Thanks for leaving a comment. This happened to me, which has made this your post painful indeed to read (double-ouch), but it's all true! Poor me. However I am determined to never behave like that again. I never spend more than I can afford and live within budget. If I can't afford it then I can't have it! That's a good way to be Simone. And it's nice to know that every penny in the bank is your own and not borrowed. Nice to hear from you. My sentiments exactly. Waste not, want not. Having been raised by parents who went through the Great Depression, their thoughts on money had a big impact on me. We did spoil the kids and grandkids this year, but think we need to pull back. We only spent what we could afford but it still seemed like over the top. It should be enough to get together for good food, drinks and sing some carols together. Otherwise, it's no longer about the holiday and what we're celebrating. It should be about peace and love, but when commercialism raises its ugly head and everyone is running helter skelter trying to find the right gift, the meaning of the season is lost. .
That's part of the reason why I don't celebrate Christmas anymore. It's no longer about Christ. It's just about spending as much as you can on decorations, gifts and suchlike. Back in the day, it had a completely different meaning and feel to it. People were more together as a family, IMO remembering why they were celebrating. Thanks for stopping by Diana. No, I don't spend anymore than I can afford. I got myself into deep trouble many, many years ago when I was much younger and very foolish with credit cards. I live a very simple life. If it's not something I need (and I mean really need) I don't buy it. It's just so easy to spend money that isn't yours especially when you're young. Well, that lesson has been learned and I'm sure you're living a very comfortable lifestyle now. Thanks for stopping by Ron. I totally agree with this post...although during college I signed up for every credit card i could get and piled a load of credit card debt on my head. Thankfully, I was able to wise up in grad school and paid down most of those cc debt, then totally cleared my debt after working a year. I learned my lesson while young and silly. Now, I'm very careful with my spending. Last Christmas, I didn't participate in any of those crazy spending schemes. We focused on celebrating each other, not things. Very thought provoking post. It's always wise to spend carefully when you have a young family and business to run. Life can become so miserable and depressing if you have to constantly worry about where the next penny is coming from. I'm sure you had a lovely time with your family during the festive season too. Thanks for the comment Hope. When I was younger I seemed to spend more at Christmas time. Now that I am older and make more I try to spend less but actually buy better gifts with thought behind them. When I was young and dumb I put myself in debt but paid it off and put money in the bank along with an ever growing 401K. No reason to over spend beyond your means. Glad to hear you paid off your debts Phil, because many people get themselves into serious financial difficulties (sometimes deliberately) then file for bankruptcy because there's not prospect of them being able to repay it back. It gives them a clean sheet, and some even have the audacity to do it again. Gotta admit, I haven't been a parent for awhile (only 1 1/2 years) and it was really tough resisting the urge to over-spend on him for Christmas. Luckily I'm halfway decent with money. I don't have a budget, but I don't buy what I don't need and I always make sure I have enough money to pay the bills. Oh, and screw credit cards, seriously. If I'd saved up enough credit card offers in the mail I'd have enough envelopes to build a full-size house. I used one to buy gas with just to get my credit score up and that's about it. I refuse to fall into the credit card trap. Credit cards are not your friend. You seriously need to know how to use them to your advantage, and this is where most people get stuck. Many people find it hard to resist buying their children gifts, especially when they are very young. It's not a problem if you can afford to do so without jeopardizing the roof over your head. I'm sure you'll make all the right decisions as your son gets older. Thanks for stopping by. I wouldn't call you 'tight' because you spend within your means/budget. I'd say, you were smart with your money mate. I like the idea of making gifts yourself. It's much more personal that way. Thanks for the comment My Froley. I read through the comments heretofore, and it seems as if most of those who commented didn't go crazy with spending during the holidays, and that's a good thing. Actually, in my hometown, I ddin't see as many people at the malls as I am used to seeing during the shopping season. That was good for me because I didn't have to deal with super long lines. As for me, my Christmas shopping is super easy. I buy money holders, and I give a monetary gift to each of my six children and to my mom, and I buy a gift for my wife. That's it, and I don't borrow money to do any of that. Sad, but true, the things you say in this blog post are true about many people; something in the holiday atmosphere just makes them go spending crazy. Frank, from the impression you've made on me, you seem like a guy who gives all year round, if not financially, of your energy and time, which is far more valuable to loved ones. When you live that way, you don't need to go all out at a particular time of year. Thanks for the comment. this is a nice post (yes, another one). and again I would need to spend pages on this.. But we are humans and sometimes we need to concede ourself and the family something, perhaps to keep us the idea to be alive. 3) fortunately not.. not for now , but I am worry for the future. Massimo, I hear how things are in Italy for the moment and it's no joke narrowing the spread. But you're right, you have to concede yourself something or else what are you working and living for? As for the future, keep being sensible and you'll minimise your exposure to risk. Absolutely not! And I refuse to even fall prey to such shenanigans. One thing I pride myself in, is not keeping up with the Joneses. In some way I feel sorry for the children I don't yet have because they will have a mother whose goal is not to keep up with what everyone else is doing/or has, but with what i can afford and think they should have:-) Great post. I know a few people who should read this. Glad to hear it Nicole, it takes an independent mind to stand aside from the pack. If you know people who should read this, feel free to spread the word. Thanks for stopping by. Every year I set a budget….and then I blow it. I hate that about myself. I'm a terrible shopper---far too spontaneous. I don't think of the long term debt it may cause. It's for this very reason I avoid shopping completely EXCEPT during Christmas. Sadly, the world has become very materialistic----it's all about spending, and it's easy to get sucked into that. This comment is too funny MM. Can I make a suggestion for next year? Give your budget money over to hubbie or a trusted loved one, preferable male and get them to do the shop for you. They'll come back with change, ha ha ha. Have I ever over-spent during a holiday season and regretted it? I’d be less than honest if I said no. Years ago, I spent too much one Christmas, I was overly generous with too many people. Then the credit card bills came and it took a while to pay off. So I don’t do that anymore. About pressures that would tempt me to spend more than I have…since I don’t have children, I don’t have the pressure to buy the latest toy or gadget. There’s really nothing else that would pressure me into spending more than I have, unless I had to buy a plane ticket to see a sick relative or handle some emergency. Have I ever had to dig myself out of debt? Yes, but it had nothing to do with gifts or holidays. It had to do with job layoffs and prior debt (not my debt but my husband’s prior debt from his first marriage.) Eventually, together, we got everything paid off on payment plans. Btw, “waste not, want not” is something my late dad always said and he was a child of the Great Depression. He never wasted anything, never carried debt. It’s the kind of example that people should set for their children. Excellent post RPD! It's true, when we were growing up, we didn't get a 10th of what the kids get nowadays and yet Christmas was still a special time of year. It just goes to show. What you also say here about having money put to one side, to cover for a family emergency is EXTREMELY important. A lot of people have their minds so fixed on the present that when the unexpected happens, they have no choice but to visit the 'loan shark' or go into someone else's pocket. I only spend within my means. Once, as a youngster, I had the crazy idea of "No borrowing, No lending" policy. But thinking of the high cost of living now, may be it won't be possible not unless we could really manage our finance well. Then again, it all depends on one's financial status. Balqis, this sounds like a good policy as some people simply take the 'mick' when it comes down to borrowing. Nice to hear from you. Spill the beans mate! What's happening? I like the way you spent your Christmas Melody. There's nothing better than spending time with your loved ones without having to worry about how much money is being spent etc. Christmas over here is becoming bigger and bigger and like you, I feel that in a few more years from now, people won't have a clue what it's supposed to be about. Thanks for the comment Melody, always a pleasure. The website "bloggers.com is back,i found the real domain name before the .com was bought. Hey, I'll take a look later. Thanks Tuham. The only time we overindulged was several years ago for a Jamaica vacation. We hadn't been away in years and it was our anniversary. it did a number on us for a while. Pun intended. But we needed the time away. Back in 2010 both my husband and I were out of work at the same time. There were several months that were gnarly financially. But we cut back on monthly debt and somehow we made it through that dark time when I thought we might lose our house. On the flip side, the last time we went out to dinner on our own dime was six months ago. Recently, my boss gave me an Amex gift card, which was good for two nice dinners out. I haven't bought anything new in ages. We're still paying for college for our son. I'm glad you pulled through those darker days Lauren. It's very hard being unemployed with the pressure of those bills coming in. Working for clothing industry I am just grateful that people are spending. Now if they over do it is no one's fault but their own. Ha, ha ha. I see your point Munir. Some people just don't have the will-power to stop. Thanks for stopping by. Hello my friend. We have always set a limit and rarely not followed it. My husband is a great money manager. As for gifts for others, I still believe in home-made gifts. There are those who think they have to buy to impress others or to equal someone else's gift. I'm not one of those. To me, baked goods or a home-made gift is a true gift from the heart. I grew up in a house where we lived on a budget. I like to spend money. I like to spend money on nice, good things, because they last longer, and in the end cost less. I love to buy for others, but I stay in a budget. Gifts to show you care do not have to break the bank. Except if they are for me, jk.